100% cashmere woven pattern There are 11 products. 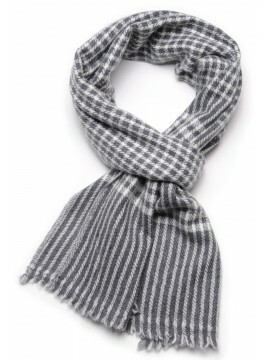 The graphic touch of a discreet pattern of gray checks to warm your look, with this hand woven scarf in 100% pure mongolian cashmere. 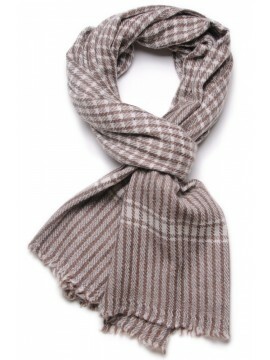 The graphic touch of a discreet pattern of brown checks to warm your look, with this hand woven scarf in 100% pure mongolian cashmere. The very special textured weave of this beige stole in pure hand-woven Mongolian cashmere gives it a softness like no other: you will not be able to do without it this winter! 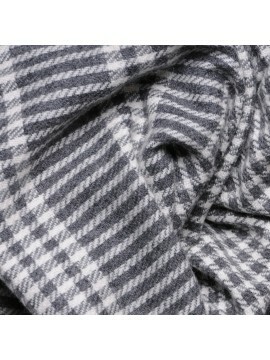 The graphic touch of a beige and grey checked tartan pattern for this cozy hand-woven pure mongolian cashmere stole in masculine and feminine versions. 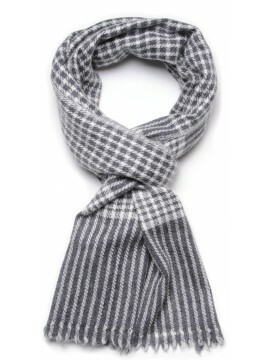 The graphic touch of a grey checked tartan pattern for this cozy hand-woven pure mongolian cashmere stole in masculine and feminine versions. 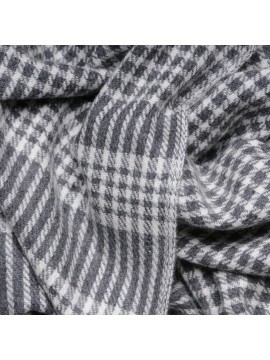 The graphic touch of a beige checked tartan pattern for this cozy hand-woven pure mongolian cashmere stole in masculine and feminine versions. 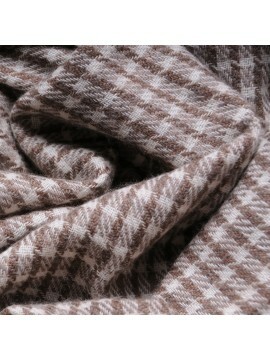 The graphic touch of a brown checked tartan pattern for this cozy hand-woven pure mongolian cashmere stole in masculine and feminine versions. A very refined pattern of fine brown and blue stripes for this cozy hand-woven Mongolian pure cashmere stole for men and women. Ultralight cashmere for the summer! Thanks to the finesse of its weaving, this beautiful striped grey stole in pure mongolian cashmere will keep you company whatever the season!